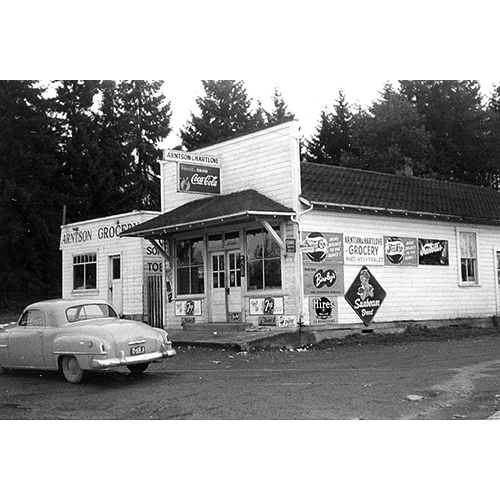 The Arnston-Hartlove Grocery provided food, telephone service, and camaraderie to the Moorlands neighborhood. The building on the left is the original Arnston Grocery established in 1938. A larger building was moved to the site in 1945 (right) The renamed Arnston-Hartlove Grocery operated until 1965. Photo courtesy of Amber Arnston Hartlove.